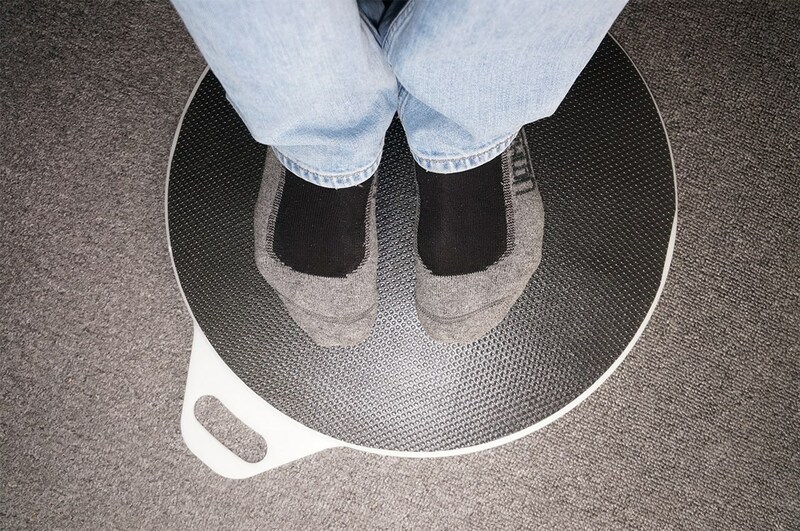 When placed on the floor, this SafetySure 13 inch Pivot Disk will help caregivers and aids transfer a person from one seat to another. All that is needed is a gentle guiding motion as the patient is standing on the disk. It will smoothly turn a standing patient from one side to another with little effort or risk. For use at hospitals, rehabilitation centers, nursing homes or home-care use. 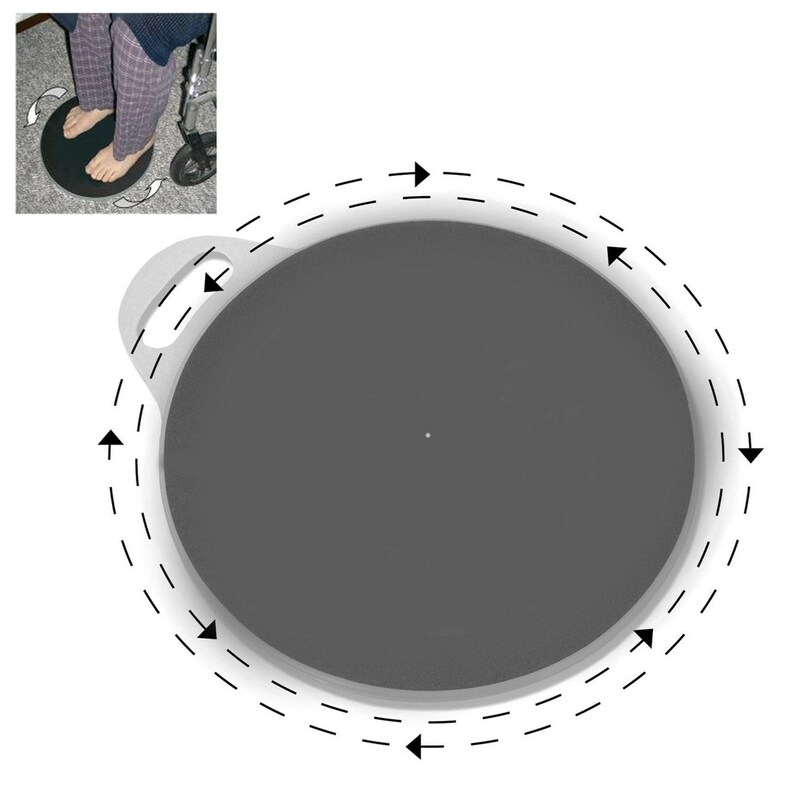 More mobile users can leave the Pivot Disc next to their beds for an un-assisted aid in getting from bed to chair.